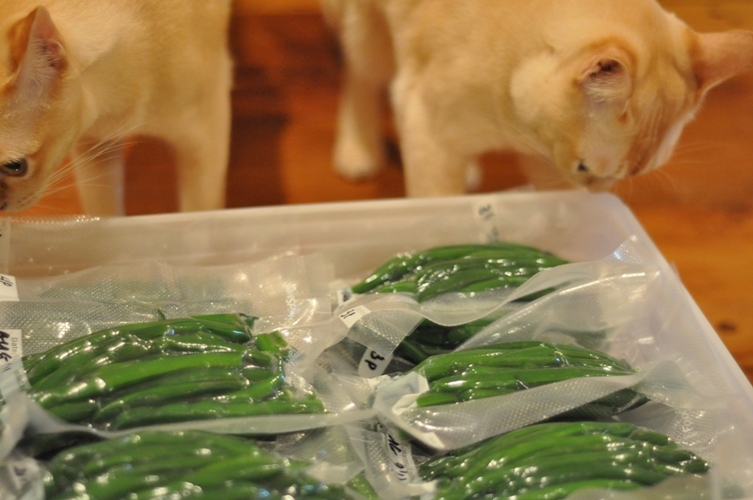 Another great and easy way to save the taste of summer with those abundantly growing beans is to blanch and freeze them in serving size packets. It really doesn’t get easier than this and we highly recommend giving it a try. You’ll be glad you did come February! The fresher the better. So, whether you are buying them from a veggie stand or picking them from your garden you should plan to do them immediately. 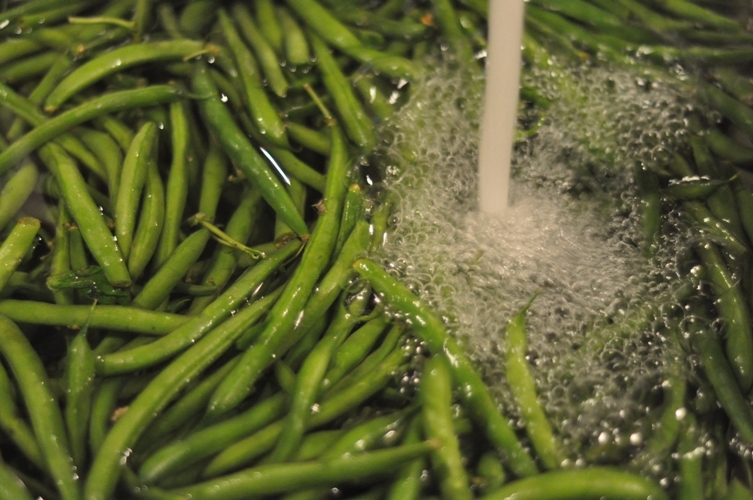 Wash beans well and remove any blossoms, stems, and leaves. Bring a large stainless steel pot of water to a boil. 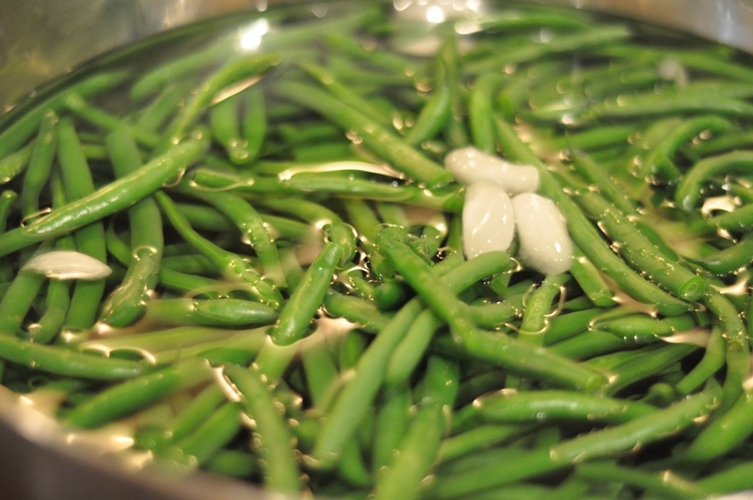 Prepare a large bowl or cooler with ice water to quickly cool off beans. This prevents them from continuing to cook. Working in batches place beans in rapidly boiling water for 3 minutes and cover. Remove using tongs and immediately place into ice water for about 5 minutes. Remove beans from ice water and drain in a colander. 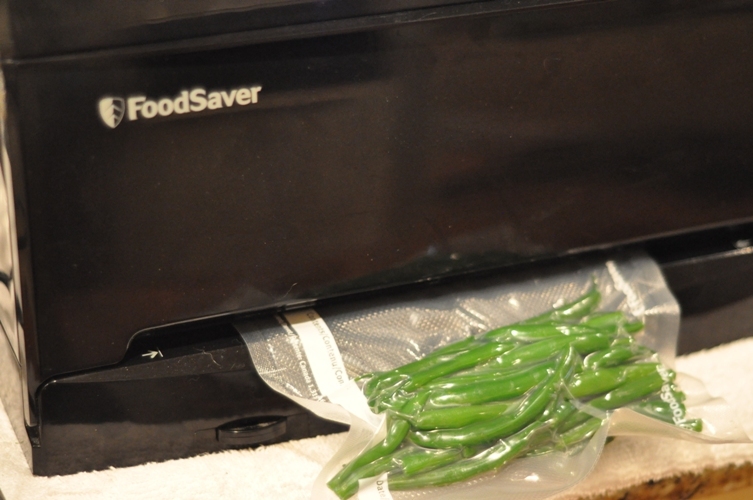 Package using freezer bags or food saver bags in serving sizes according to amount required for your family. Seal, label, and place in freezer to preserve. Should last at least 1 year (if not longer). This post alone has inspired me to investigate a FoodSaver. Can I ask where you purchased it? How many years you’ve had it? Do you highly recommend it? We’ve had it for 3 years. Initially, it was purchased to better preserve larger quantities of meat but we use it to freeze fresh corn, beans, pesto, etc… We purchased it at Costco. We really like it and would recommend it but you need a bit of patience to operate it because it is not a commercial grade sealer and you must wait between sealing each package so the machine can cool down. It definitely keeps your frozen food much fresher because it gets more of the air out and packages are made smaller saving precious freezer space.